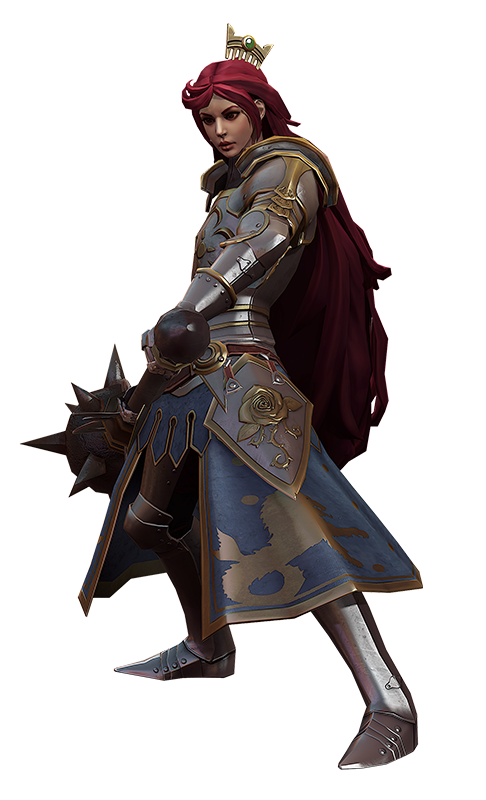 Grace chains her normal basic attack into a ground slam, dealing bonus weapon damage and slowing enemies in a wide area. If any enemies are hit by the ground slam, her ability cooldowns are reduced. Grace dashes to an enemy striking them with Retribution and dealing bonus damage and gains a full holy shield while granting nearby allies a partial holy shield. Grace channels briefly before knocking surrounding enemies into the air to deal crystal damage. Grace grants herself and her target a full holy shield and begins a channel after which her target is healed.